Matrix Networks aims to be a resource for IT professionals, business owners, and executives looking to leverage communications to make their organizations better. 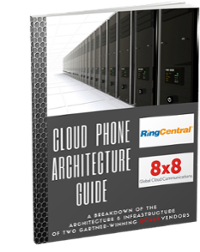 The content below is a collection of best practice guides, tutorials, system reviews, and opinion pieces surrounding the topic of phone systems. Every organization is unique and will use their phone system differently, our goal is to provide resources that help make more informed decision and more impactful technology investments. Enjoy! The task of selecting a communication solution for your business can be quite daunting. With over 40 vendors in the industry today, it is easy to get confused and overwhelmed. But no matter where you are on your exploration of implementing a new phone system for your organization, it is important to start with the basics and identify what type of system is right for you. Outlined below is a brief explanation of what the basic types of phone systems are and why someone might consider one over the other. RingCentral is NOT a Phone System! As a species, we desire the feeling of connection, to each other, to our teams and to our communities. Evolving technology is playing a larger and larger part in fulfilling this need beginning with letters and telegrams, and now evolving to real-time communications like phone calls, messaging and video chat. As a consumer today, we expect to be able to easily connect to our friends and loved ones at little to no cost. The surprising reality of this revolution in communications is that despite the opportunity for huge productivity gains enterprise solutions haven't kept up. 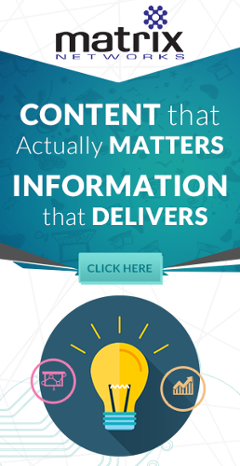 The majority of businesses are just now scratching the surface of this amazing technology. Companies of all sizes are enjoying the benefits of Unified Communications platforms delivered from the cloud. The tools are fantastic for improving collaboration, integrating databases, providing Instant Messaging and much more. Unfortunately, these tools have limited application in a multi-site retail environment where call groups, parked keys, low cost solutions and simplicity still rule the day. This gap in vision has left many of our clients stuck on unreliable aging systems, with limited support and none of the UC features that could be useful, like SMS and large conference calls. In this article, we explore how Retail can take advantage of the new technology without breaking the bank. 8x8 Phone System | A Clear Choice for Business UCaaS! 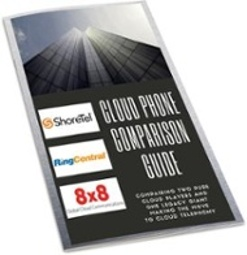 Selecting a new cloud based phone system is complex, with many options, including regional providers, international pure cloud offerings and traditional phone system providers modified offerings. These products have broad overlap, making it difficult to determine the unique value of the different platforms. Our job at Matrix Networks is to help our clients understand their communication needs and match them with the appropriate provider. In this article we focus on 8x8, an industry leader consistently ranked at the top of Gartner's magic quadrant. There are right ways and wrong ways to use Unified Communications (UC). The vast majority of companies and employees underutilize their UC platform in terms of how it can increase productivity. UC platforms such as ShoreTel, RingCentral and 8x8 are designed to optimize business processes. Do you really feel more efficient since you installed that application on your computer or mobile device? To truly get your money’s worth out of your communications platform, and experience all the benefits that were promised pre-sale, you need some pointers on how to use UC to work smarter, work faster, and work together. The ideas below are just the tip of the iceberg when it comes to functionality; they are written primarily to spark your creativity in bringing out the best in your UC platform. Cloud Phone systems, also known as Hosted Phone Systems, are the choice solution of enterprises large and small with 70% having made the move or planning to make the move per Information Week. The reasons for this vary dramatically based on the specific business and sector they belong to. Cost savings and productivity top the list. Unified Communications has evolved rapidly over the last 15 years, redefined again and again. Initially if voicemail was received in your email inbox and the system included a basic communicator client it was considered UC, but as technology evolved so did this definition. This slow creep of features developed into a requirement for web/video collaboration, Instant Message, Fax, SMS, Calendar integration and much more. The result is a confusing mess of different clients and tools inhibiting adoption and creating a black hole of communication. Intuitive integrations to your core tools are critical to gaining adoption and seeing value from a UC product set. Are Premise-Based Business Phone Systems Dead? If you have explored replacing your communications solution in the last 2 years you have likely faced the question, Hosted vs Premise delivery? If you believe the industry hype, the only real option is moving your phone system to a cloud solution. There can be substantial value in moving to a cloud phone system, but to assume it is the right solution for every business is foolish. In this article we discuss why some organizations might choose one over the other, and using ShoreTel as an example, we will showcase one solution that has adapted well to the new market shift. Unless you have been hiding under a rock for the last 15 years you have watched the evolution of SMS text messaging from the days of pagers to iMessage and GIFs. The SMS world has brought smiley faces, acronyms, and text speak into our world at a rapid pace. Simple, straightforward, fun, and aimed almost exclusively at personal relationships. As users across the globe have adopted SMS, our businesses have fallen behind, unable to grasp how to implement, control, or even understand the scope of how to position it for business use. Communications is going through an unpredictable evolution. Ten years ago our businesses primarily communicated via a traditional desk phone and email. Today we use our cell phones and desktops to utilize SMS, LinkedIn, chat clients like Slack, face to face video, Facebook, Twitter, Email and much more to communicate with co-workers, family and clients. If you have ever reviewed a phone bill you know it is written in a language that resembles Elvish rather than English. As the world transitions to phone systems offered as a service in the cloud, these bills and the corresponding pricing models will only become more complex and convoluted. As we evaluate any cloud solution, we are considering committing to paying monthly for a term typically one to three years in length. Small misunderstandings or oversights on pricing can have drastic effects on the long term cost of the solution. Why Your Cloud Phone Deployment Sucked! More and more companies are deploying UC, and most hated the process of getting there. They enjoy the end result of having a cloud-managed IP phone system; they like the flexibility of adding and removing user features on the fly, but I dare you to ask them what the deployment was like. How did the migration go from an on-premises UC solution to cloud? Was the cut over smooth as butter? Did the vendor communication make you feel butterflies and rainbows deep inside? Were the users singing your praises after the incredible training experience? Hell no! Warning: Content is not for the easily offended. Enjoy! So you hate your new phone system, huh? Well, you are not alone. As more and more businesses migrate from legacy technology to more modern, robust solutions, frustrations are bound to come up. Change is never easy. So here you are, 2018 is a right around the corner, and you still haven’t done anything about that ancient phone system of yours. You know, the same one you were sure you'd replace before Obama left the Whitehouse… I understand, if it isn’t broken, don’t fix it, right? Wrong! Let’s face it, your duck taped digital dinosaur is causing more trouble than it’s worth. Your IT team is spending entirely too much time troubleshooting; your employees are working with 90s technology and expected to perform at 2018 standards, and you fear the system could crash at any time.